De Halve Maan brewery, recently famous for “Beer Pipeline” project, was founded in 1564 and restored brewing in 2005 by the sixth generation of the Maes family, Xavier Vanneste. 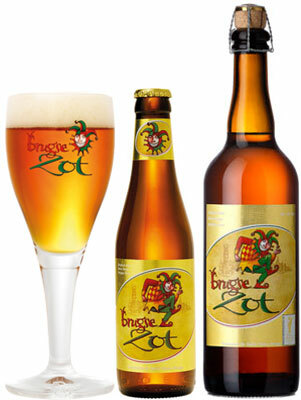 Brugse Zot, is the only beer brewed in the historical town center of UNESCO World Heritage’s Brugge/Bruges. Brugse Zot, firstly brewed in 2005, is a natural beer brewed with only the best and finest ingredients and has won so many prestigious beer awards. The story of the Brugse Zot dates back to the Middle Ages and the legend of Maximilian of Austria who ruled the region from Austria to over the medieval Netherlands and of course Bruges. When Maximilian visited Bruges in 1488, the people of Bruges decided to organize a celebration to honor him. Afterwards they asked him for permission to build a new mental hospital. Maximilian advised them to simply close the gates of Bruges, because the town was already filled with fools. Since that day the people of Bruges are known as ‘the fools of Bruges’ and this nickname is used several times in the town history. Brugse Zot Blond is a golden blond beer with a rich foam collar and a fruity yet spicy bouquet. The beer is brewed with four different kinds of malt and two aromatic varieties of hop which give the beer its inimitable taste. The palate is complex and tends towards certain bitterness. Even hints of citrus can be discovered. The most decorated awards from all over the world. Thanks to the fermentation in the bottle, the beer has a longer natural life. Food Pairings: Fish and crustaceans, beef or desserts with red fruits. 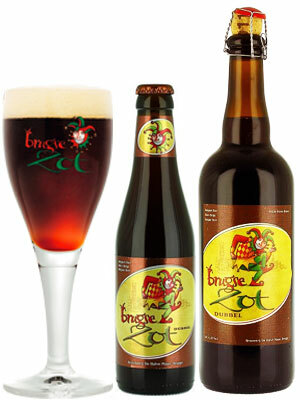 Brugse Zot Dubbel is a dark brown beer, inclining towards ruby red. It is brewed with six special varieties of malt, which give the beer a rich and distinctive aroma. One can discover the scent of honey, almonds, chocolate and even brown sugar. By using the Czech Saaz hop from Zatec, the beer has a complex pallet of roasted malts and a distinctive flavour. Brugse Zot Dubbel is known to leave a warm glow in the mouth with a bitter and hoppy finish leaning towards liquorice and even coffee roast. 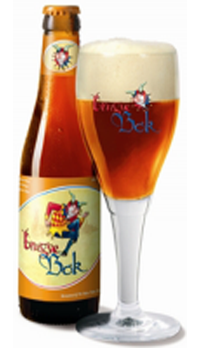 Brugse Bok finds its origin in the German and Dutch tradtions of the seasonal bock beers. The beer is a tad lighter than the Brugse Zot, which can be explained by the use of roasted malt varieties. The beer has a hazy brown colour and a sturdy foam collar. The aroma can be described as spicy and fruity. 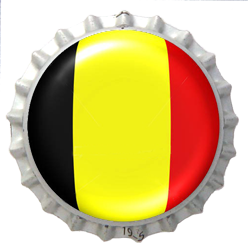 A slight bitterness is typical for the pallet of this beer, yet tastes of caramel and raisins can also be discovered. Food Pairings: Cheeses, chicken, beef or pork with light spices.